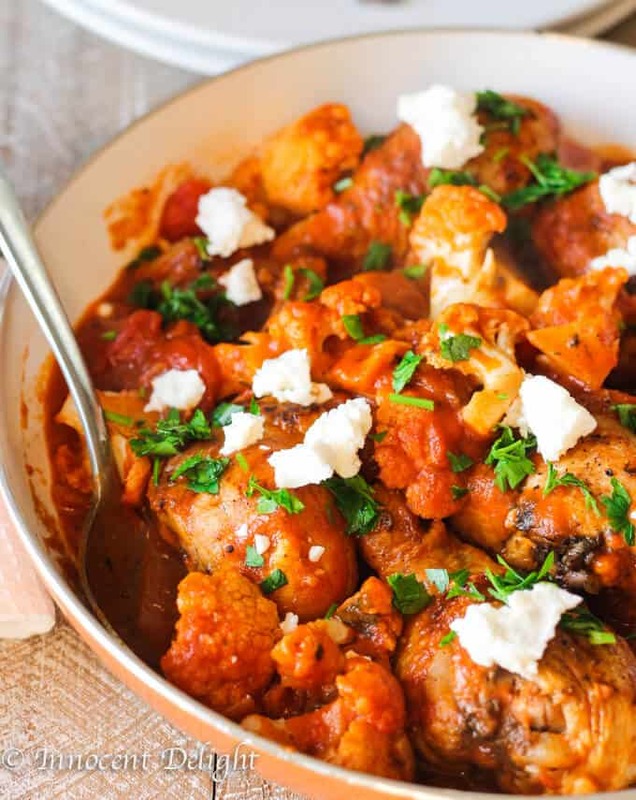 Amazing chicken dish that is very easy to make and is super scrumptious. 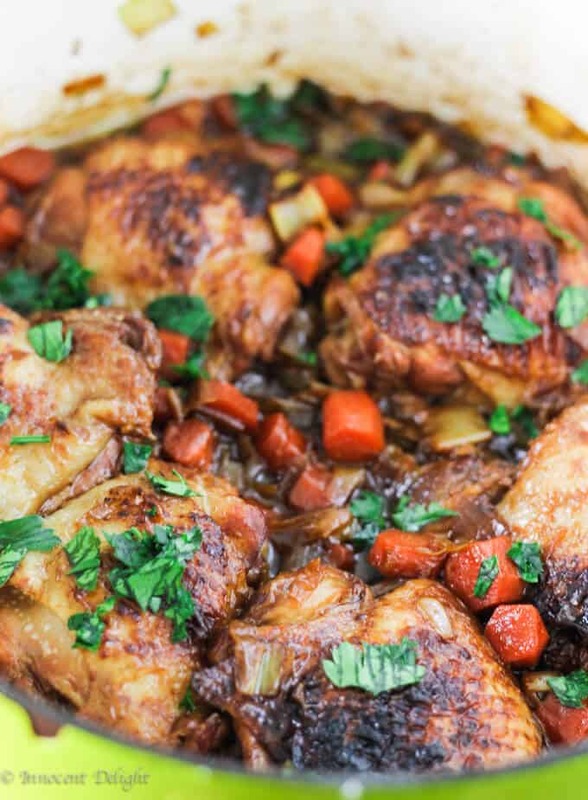 Combination of garlic, honey and soy sauce makes it really irresistible. Leaks and carrots add another level of slight sweetness. 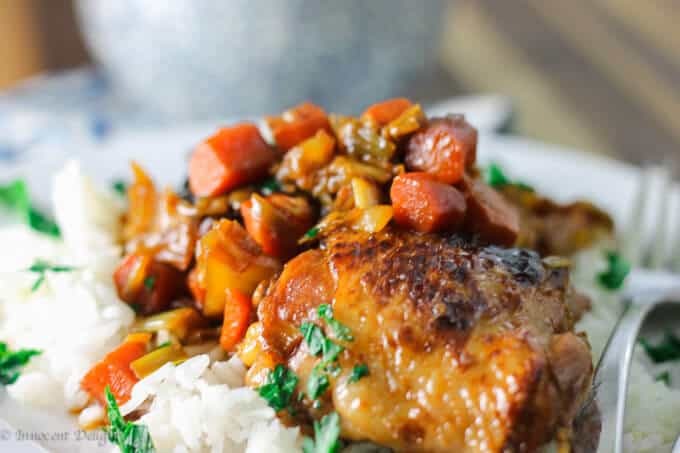 Serve this braised chicken with carrots and leeks over rice and you won’t be able to stop eating. 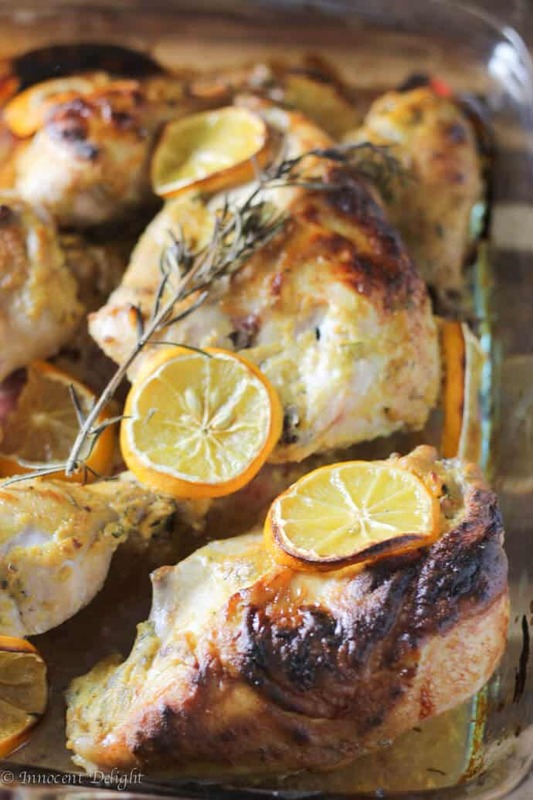 If you love chicken, then put this recipe on your ‘To Do’ list. I made it for the first time many, many moons ago, back in Poland. I was actually inspired by a cooking show, where one of the famous Polish singers was making it on TV. I’m not exactly sure if the recipe is the same but its origins are still there. It became one of my signature dishes that always comes out delicious and everyone who tries it loves it. 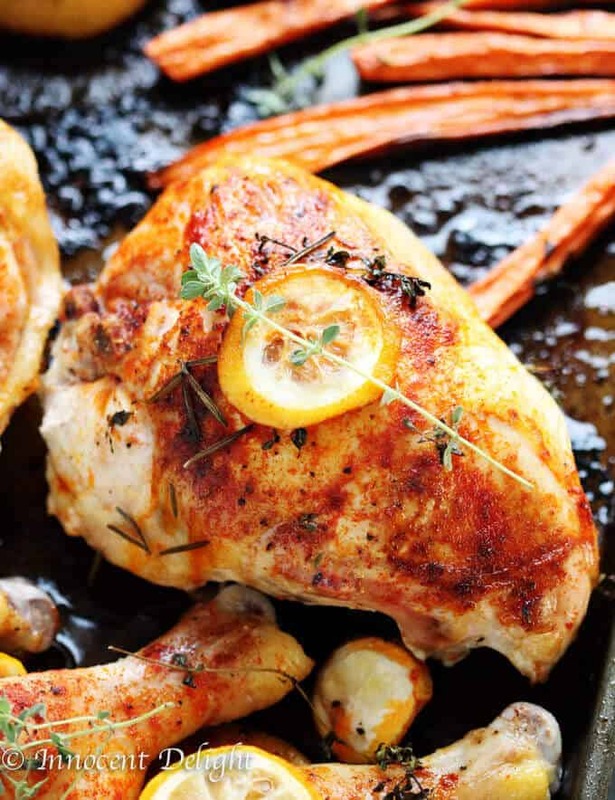 My other signature chicken dishes include: One Pan Herbed Lemon Chicken with Veggies, Greek Chicken with Tomatoes, Cauliflower and Feta, Dijon and Mayer Lemon Chicken or my Slow Cooker Whole Roasted Chicken. 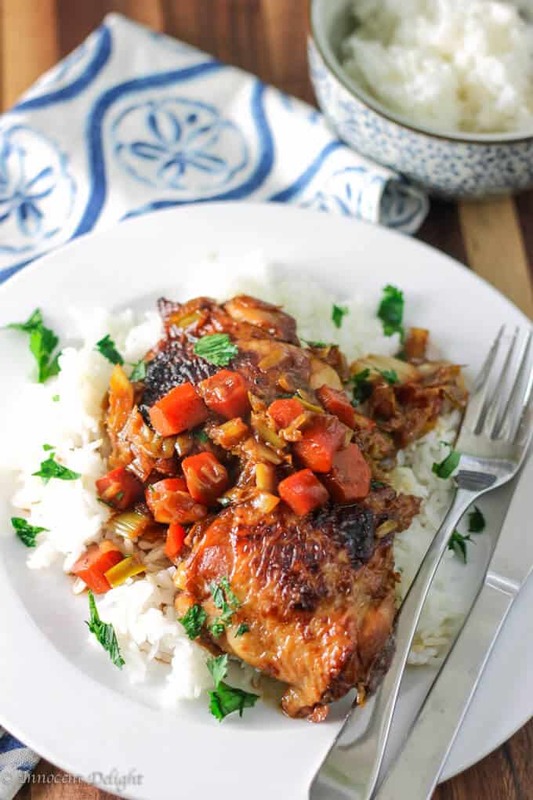 This braised chicken with leeks and carrots dish is sweet, savory and a little bit spicy; but you may choose to skip the cayenne and the dish will still be super delicious. 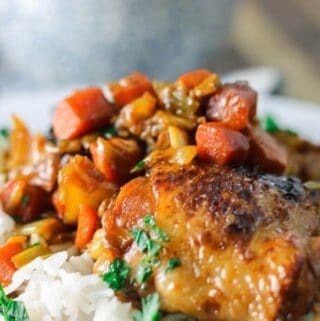 I actually just recently started to add cayenne pepper to this dish to spice it up – but this step is totally optional. The recipes look so delicious! I can’t wait to try them. I also like the fact that the recipes are for three or four people. IF I I need to double it, it is easy “math” for me. Good cooking girl! 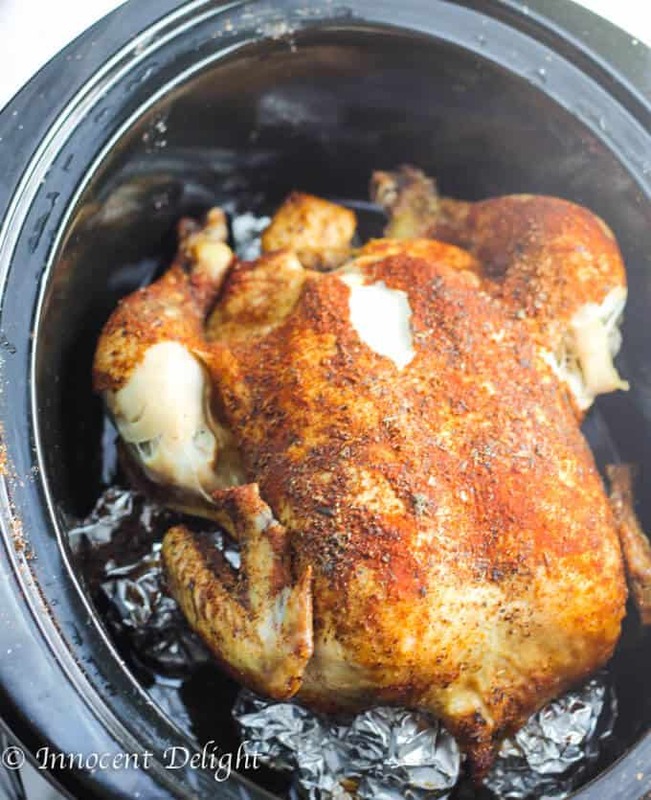 Beautiful and I bet smells amazing while it is cooking up!